The London Borough of Bromley is London's largest borough making asset management a challenge. They commissioned Getmapping to undertake a high resolution aerial imagery survey of the borough. By accessing the high resolution aerial imagery, council officers can now effectively and efficiently manage assets - without the need to leave their office. The London Borough of Bromley occupies 59 square miles and with 30% of the land being farmland it is the most rural borough in London. The team in Environmental Services identified that having access to high resolution aerial imagery could help in the maintenance of their Tree Asset register, which is used for both contract management and tendering purposes, plus the ongoing management of landscape contracts and contractors. 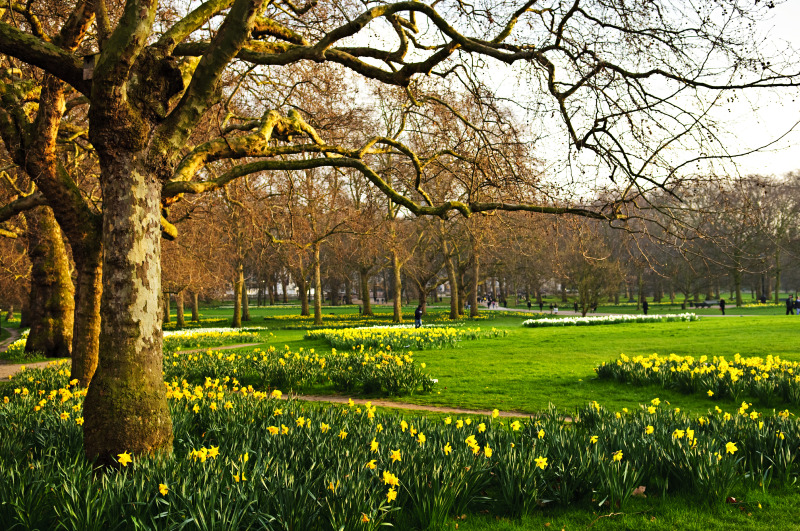 Bromley is not only a big borough but also very green with over 100,000 trees in and around the streets. It is essential that aerial data capture was ‘pre leaf’ to ensure assets were not obscured by leaf cover; this in itself provided a challenge to the project. The borough commissioned a high resolution aerial imagery survey to capture 'pre leaf' assets. Bromley London Borough Council and Getmapping worked together to capture suitable high quality 5cm resolution aerial imagery for the entire borough, that could then form a critical information layer within the borough’s Corporate GIS. Getmapping accommodated the borough’s need for capturing data ‘pre leaf’ despite the challenges of a short data capture window. Working to a prioritised data capture plan provided by Bromley, Getmapping waited for optimum flying conditions to ensure capture of the highest quality imagery. The 5cm resolution imagery far surpasses the 10cm resolution imagery that is available ‘off the shelf’ and was delivered as ECW and JPEG tiles and accessed through the borough’s ArcGIS. Other departments also make use of the high resolution survey data. Staff in the Environmental Services team can now very accurately record assets in their Corporate GIS against high resolution imagery. However departmental use of the data extends beyond green space asset management to other departments, as it is also used in the management of cemeteries, parking appeal processing, highway planning and the sale of council owned land by Bromley’s Valuations and Estates team.